I met Linda Gray at the Autographica event held in the Hilton Thistle Hotel near Heathrow, in September 2010. I had this photo taken with the glamorous Dallas star, just before we went in to the event's Gala Dinner. and later at the nearby Notre Dame Academy. Shy as a child, Linda's earliest acting role was as Cinderella in a high school production of the well-known fairy story. pursue a career as an actress. She had in a guest spot in the long running ABC drama series Marcus Welby, M.D. in 1974, before making her TV movie debut in The Big Rip-Off (1975) starring Tony Curtis. A year later she appeared as Miss Engle in the thriller Dogs (1976), followed by a regular role as Linda Markland in the comedy series All That Glitters (1977). 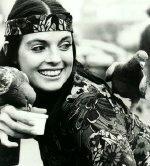 the character was popular and Linda Gray became a series regular. She remained with the show for eleven years until 1989, during which time she also directed four of the 308 episodes in which she appeared. Linda Gray as Hillary Michaels in Models Inc.
Linda Gray also appeared in a number of TV movies including The Entertainers (1991); Highway Heartbreaker (1992), Bonanza: The Return (1993); Moment of Truth: Why My Daughter? Conundrum: Part 1 and Conundrum: Part 2. 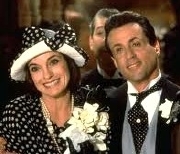 She also appeared in the John Landis directed crime comedy Oscar (1991) starring Sylvester Stallone, and had the role of Cassandra Lynch in several episodes of the BBC series Lovejoy. Daughter? (1993); To My Daughter With Love (1994) and Accidental Meeting (1994). 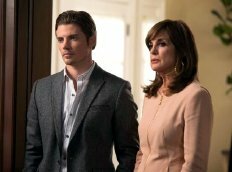 Linda Gray in Moment of Truth: Why My Daughter? 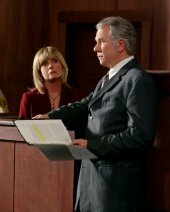 role of Sue Ellen for the reunion TV movies Dallas: J.R. Returns (1996) and Dallas: The War of the Ewings (1998). 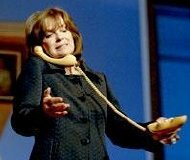 as Aurora Greenway in a stage version of the 1983 Oscar-winning film Terms of Endearment. It premiered at York Theatre Royal in 2007 before going on a UK tour and a run in the West End. In 2006, she was given a TV Land 'Pop Culture Award' for her work in Dallas, an honour she shared with former co-stars Charlene Tilton, Larry Hagman, Patrick Duffy and Sheree J. Wilson. Very recently, Linda Gray has starred in several independent films, including the comedy Expecting Mary (2010) and the mystery romance Hidden Moon (2012). family, as cousins John Ross Ewing and Christopher Ewing clash over the family's oil business and vast fortune. Further episodes are scheduled through to 2014. 'Miss Golden Globe' in 1997. Kehly is married to producer Lance Sloane and has two sons, Ryder and Jack. Linda Gray is the aunt (by marriage) of 'bionic woman' actress Lindsay Wagner.